James Bond and Brass Bancroft, separated at birth? 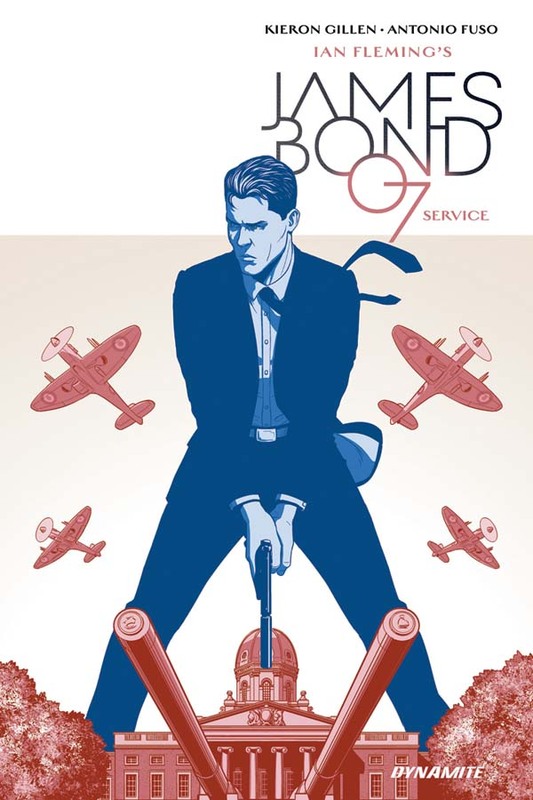 Dynamite Comics has been on a run publishing James Bond comic books of late. Dynamite announced its latest project, James Bond: Service to come out in May. What caught the blog’s eye was the cover illustration (see above). In this version, Bond (particularly his hair style) seems to resemble former U.S. President Ronald Reagan (1911-2004). But not Reagan as president. Rather more like Reagan as he appeared in the late 1930s or early ’40s. 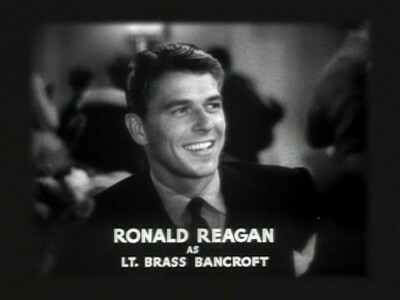 Ronald Reagan’s title card in a Brass Brancroft movie. Reagan was an actor before turning to politics. One of his roles was that of U.S. Secret Service agent Brass Bancroft in four movies in 1939 and 1940: Secret Service of the Air, Code of the Secret Service, Smashing the Monkey Ring and Murder in the Air. Perhaps it’s coincidence. Perhaps the blog’s eye is a little off kilter. Judge for yourself. A friend of ours pointed us toward some Canadian Broadcasting Corp. video archives related to James Bond. The seven clips include an interview with Ian Fleming that aired a few days after his death in August 1964. Portions of it show up in extras in Bond film DVDs. Also there are videos about Sean Connery and the Canadian-born Lois Maxwell, who played Miss Moneypenney in the first 14 007 films. To view a menu of the archives JUST CLICK HERE. UPDATE: While watching the Broccoli-Saltzman clip, near the end, Saltzman says the duo is ready for a Februay 1966 start of production for On Her Majesty’s Secret Service and that the “Bond for 1967 will be You Only Live Twice.” Well, he’d end up being half right. UPDATE II: The Lois Maxwell interview first aired in 1981, just before Ronald Reagan took office as president of the U.S. She discussed That Hagen Girl, in which she co-starred with Reagan and Shirley Temple. She calls the film dreadful but says she had good memories working with Reagan. UPDATE III: Lois Maxwell says she’s certain Roger Moore won’t return as James Bond in the film that would be called For Your Eyes Only and that Eon “won’t have an old bag like me” play Moneypenney after the death of Bernard Lee. Wrong on both counts, not that we mind. UPDATE IV: Lois Maxwell (as a businesswoman, not an actress) provided barriers to Detroit for the 1980 Republican convention where the GOP nominated Ronald Reagan for president.